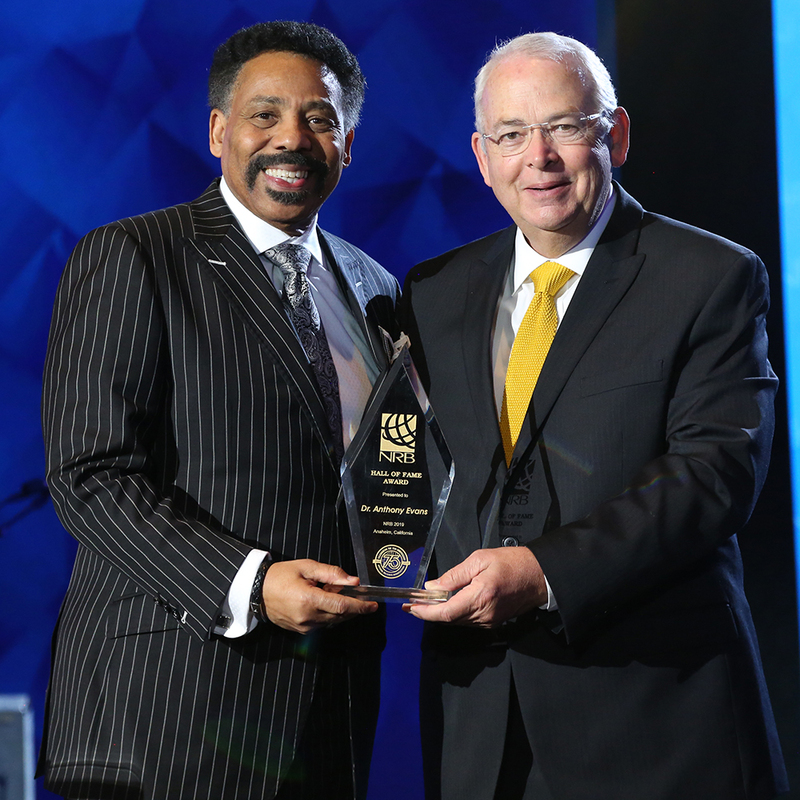 ANAHEIM, Calif. (NRB) – Dr. Tony Evans, president of The Urban Alternative, received the 2019 NRB Hall of Fame Award on Friday, March 29, during the Closing Gala at Proclaim 19, the NRB International Christian Media Convention in Anaheim, California. The National Religious Broadcasters Hall of Fame stands as a witness for current communicators, a showcase of warriors for Christ who live exemplary lives of valor and compassion, blazing trails and leaving paths for succeeding generations to follow. NRB's most prestigious award is presented to an individual NRB member for invaluable contribution to the field of Christian communications, exhibition of the highest standards, and evidence of faithfulness in Christ. Dr. Tony Evans is founder and senior pastor of Oak Cliff Bible Fellowship in Dallas, founder and president of The Urban Alternative, former chaplain of the NFL’s Dallas Cowboys, and present chaplain of the NBA’s Dallas Mavericks. His radio broadcast, The Alternative with Dr. Tony Evans, can be heard on nearly 1,000 U.S. radio outlets daily and in more than 130 countries. The Hall of Fame Award was one of 20 awards that were presented during Proclaim 19, which took place March 26-March 29, at the Anaheim Convention Center in Anaheim. For the complete list of 2019 award recipients, click here.